You’ve booked your venue, you’ve bought the dress, you’ve hired the DJ. Everything is under control. And then you remember your guests! They also will need somewhere to stay, and if your venue can’t accommodate them, it’s your responsibility to research alternatives. When looking for accommodation for wedding guests, be sure to pay attention to these details. The closer to the wedding venue the better. Finding accommodation that is in walking distance is the most ideal but not always possible, particularly if you’ve opted for a countryside venue. 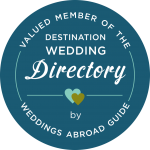 If you are marrying in a place you don’t know very well, such as an overseas location, ask at the local tourist information office for details of hotels, bed and breakfasts and holiday cottages to save you wasting lots of time searching for places yourself. Booking.com, AirB&B and HomeAway can also be helpful places to look. If the closest places are not actually that close, you might want to consider hiring a mini-bus to transport people to and from the wedding venue so they don’t have to worry about driving or finding taxis. Some hotels offer this service as standard, and some even provide airport shuttles – just what you could need if marrying abroad. Be good to your guests and provide them with a list of local taxi firms so they can book in advance and don’t have to scrabble around at the end of the evening trying to find someone to take them home. While some of your guests might be up for splurging on a hotel room, the majority of your family and friends will likely prefer more budget-friendly options. Hotels will often give a discount if you book a block of rooms. Think about the number of guests you’ll need to accommodate. If you’re hosting lots of people, a hotel might be your best bet. However, depending on where you are getting married, they might not be the best or only option available to you. Bed and breakfasts, holiday cottages and even glamping sites could offer you with alternatives that are just as comfortable, possibly more affordable, and probably more memorable! 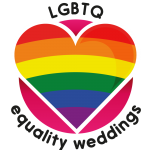 Have you booked your wedding the same weekend as the World Cup Final? Check to see if there are any major events taking place at the same time, be that a big sporting event or a local conference, that may cause rooms to book up quicker than normal. If there is, make sure you reserve what you want and need quickly to avoid missing out. Certain amenities, such as WiFi, a TV and parking might be “must-haves” for some of your guests, while others might be all about the swimming pool, gym and room service. Think about what’s important to the majority of your guests. It’s often the thing that people forget, but is really, really important, particularly if you have guests with disabilities. If old aunty Doris can’t get up stairs because of her bad leg, then you need to make sure she’s in a hotel with a lift or in a ground-floor room. And whatever you do, don’t put her in the fancy tree house on the glamping site! Book before 31 January 2019 and receive a 10% discount. Get in touch at thebeckofbeyond@gmail.com.